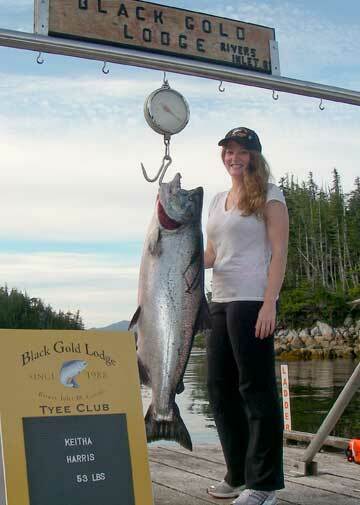 Keitha Harris with a 53.5 lb. beauty. Keitha wins a Standard Package Fri - Mon trip to the lodge.